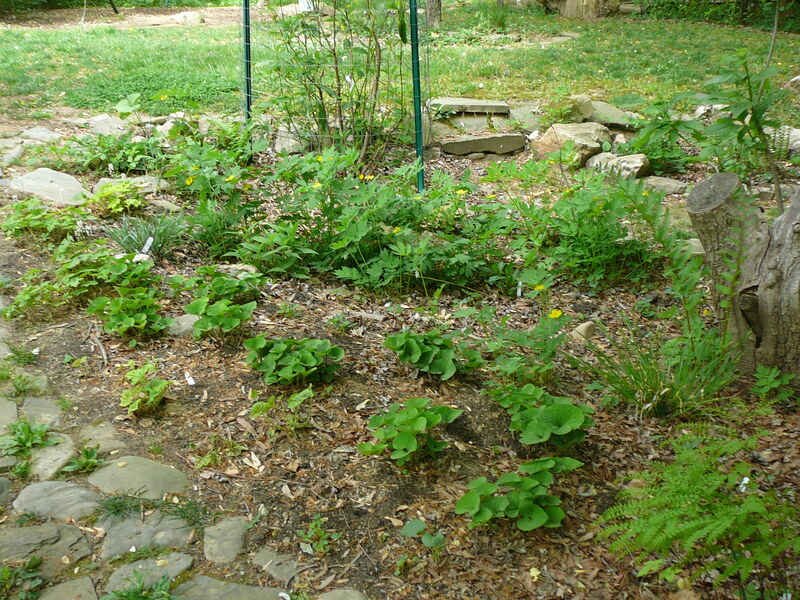 Variety of ground covers, ferns at the Demonstration Garden, Potomac Overlook Park. We look forward to seeing as many of you who can come to the dedication of our new demonstration garden showing off native plants suitable for backyards on Sunday, May 6th, at the annual May Day Fair at Potomac Overlook Regional Park. The dedication will take place tentatively at 2:30 p.m. with Mary Hynes, Chair of the Arlington County Board, in attendance and doing honors. We hope to have a tree planting as part of the ceremony and celebration of our new ARMN focus project. To prepare the area for this high-profile event, please come out on Friday morning, May 4th, 9:30 – noon or as long as you can, for a work party and training about the plants we’ve included in the design. 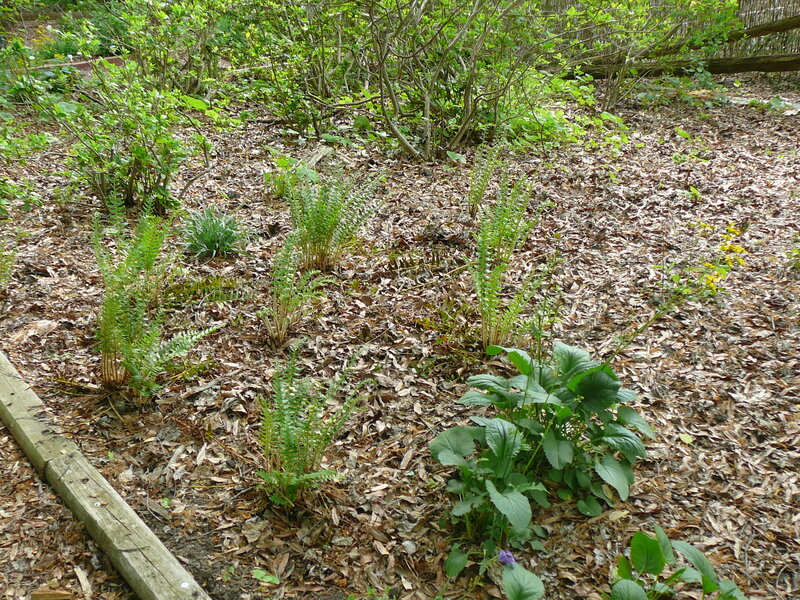 We have invasives to remove, mulching, and raking to do. When we’re done, I will show off the box of informational materials on invasive and native plants developed for Meet Me on a Sunday, and we’ll talk about how to interpret the garden or host a short tour even if you don’t consider yourself an “expert.” This will be especially appropriate for any of you folks in training as Audubon at Home Ambassadors. Christmas Fern with Phlox in foreground. We’ll be touring and talking as well on Sunday afternoon after the dedication, so that’s another training opportunity for those of you who work weekdays. The garden dedication will take place during the Park’s 27th Annual Open House and Heritage Festival. We can use your help if you are available to staff an ARMN information table for part or all of the afternoon. It’s a very festive happening, complete with maypole and many exhibitors. Download an event flyer to share. Bring garden gloves, tools if you wish to do so, as well as water and insect repellent. I’ll provide snacks. Contact me if you have questions, or to let me know you’ll be coming at joannerhutton@gmail.com. Potomac Overlook Regional Park is located at 2845 Marcey Road, off of Military Road, in north Arlington, VA. Call 703/528-5406 for directions and more info. This entry was posted in Potomac Overlook Park and tagged community outreach, education, native plants, stewardship by armneditor. Bookmark the permalink.